It is a very nice destination which is easily accessible from Skaret. 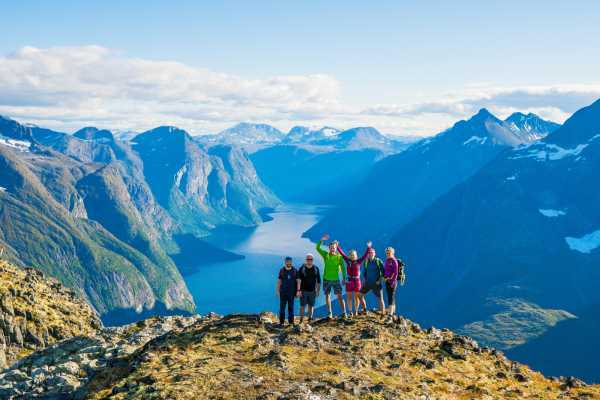 The peak is 979 meters high and gives a gorgeous view over the mountains of Fræna and Molde and the Molde Panorama. The hike starts from Skaret (around 10 km away from Molde). First, you follow road 64 then road 405 all the way to Skaret. There is a restaurant on the right side of the road from where the path starts. then take a left turn where you spot the sign toward “Urfjellet”. Then you follow the sign. In the beginning you will pass through a peatland so do not forget to put waterproof shoes on. After the peatland you will have a steep part through a forest then the last part to the top from the southern side. Once you reached the top, just follow the way toward east to get down to the lake.